Osteria 16: I know that some people do not like to be tortured with my photos of food so I thought I would do something different this time. 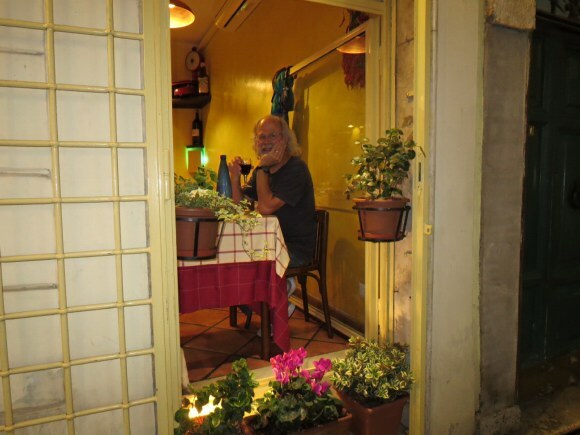 This was taken at Osteria16 in the Monti. 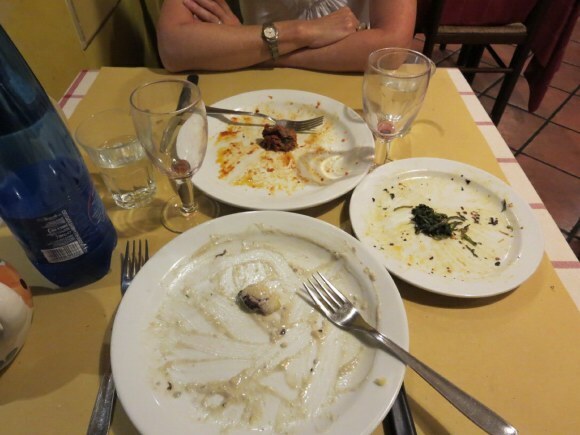 The meal was gnocchi, eggplant, chicoria and wine. 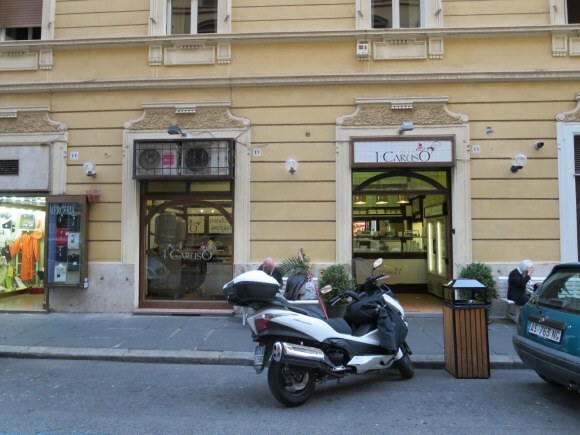 Located in the Monti, our table was by one of the two windows that face the street so I could watch everyone walk by and tell them how good the food is. 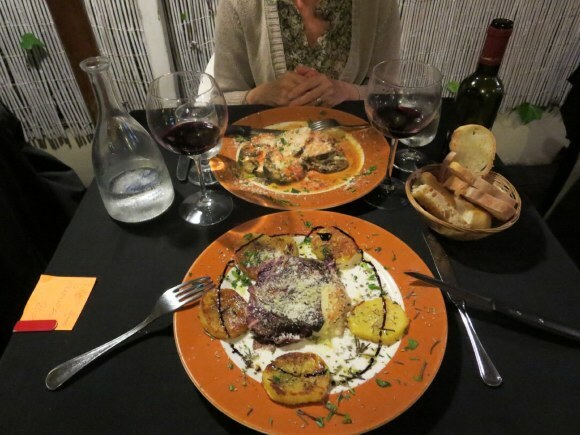 Cadorna: The eggplant parmesan and the scarmoza at Cadorna which has become one of our favorite restaurants in the neighborhood. 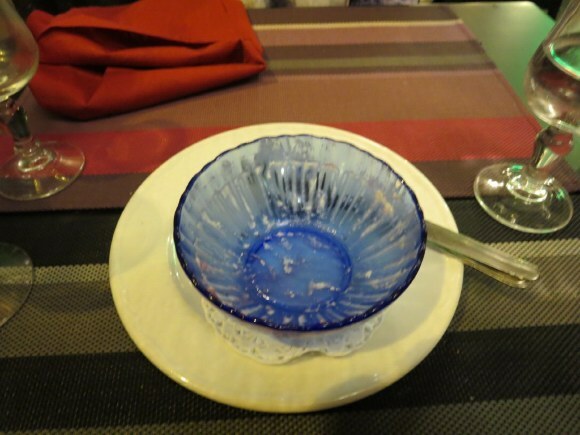 Panna Cotta: This was panna cotta – the King’s favorite desert. 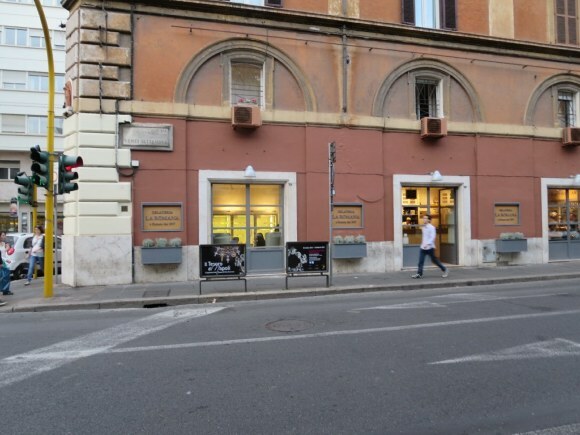 On this trip there is another new one from Rimini that opened about one block away. Now the lines are there and because it is on a main street the cars double park and wait on line. I Caruso no longer has lines. 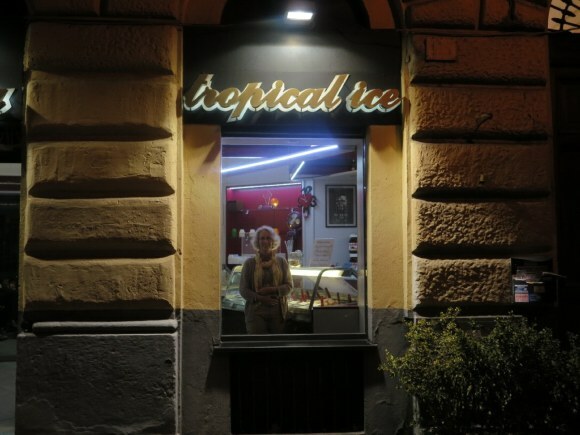 Meanwhile about four blocks away we go to Tropical Ice, a small gelato place with much fewer flavors but definitely better than these two new ones and much less expensive. 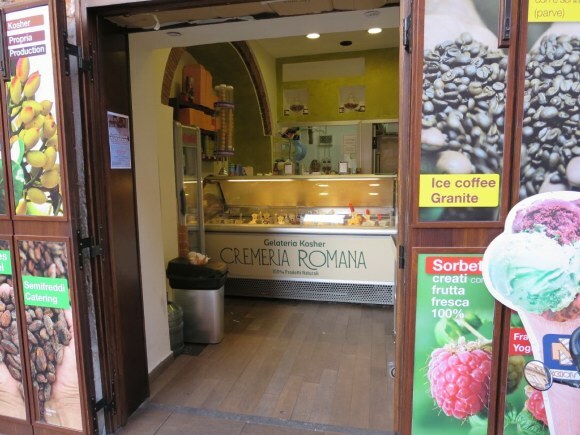 ..and of course there is always the kosher gelato in the Jewish ghetto. 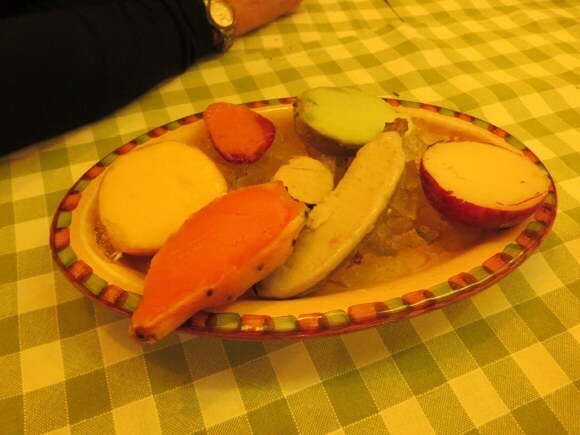 Gelato Fruit: At this restaurant the desert was an assortment of gelato served in the fruit shell/skin of the fruit. Peach gelato was served in a peach skin, pear in a pear skin, etc. 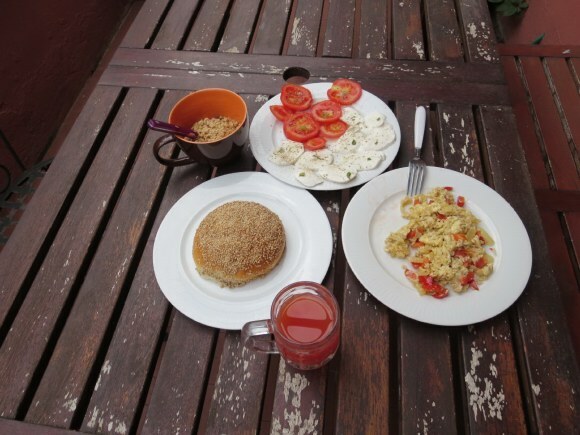 Breakfast: This was one breakfast on the terrace of the apartment. 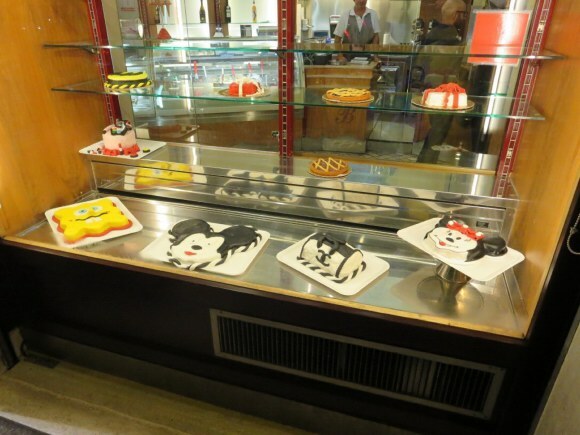 Testaccio Bakery: We spend some more time in the section of Rome called Testaccio this visit. This was a bakery on one of the main streets. 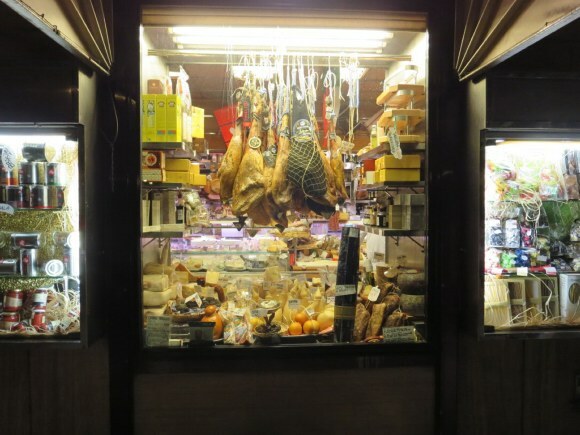 Testaccio Volpetti: This is a gourmet market in Testaccio which has been around for over 40 years. It is a bit overpriced but the display of food is worth looking at if you are in the area. 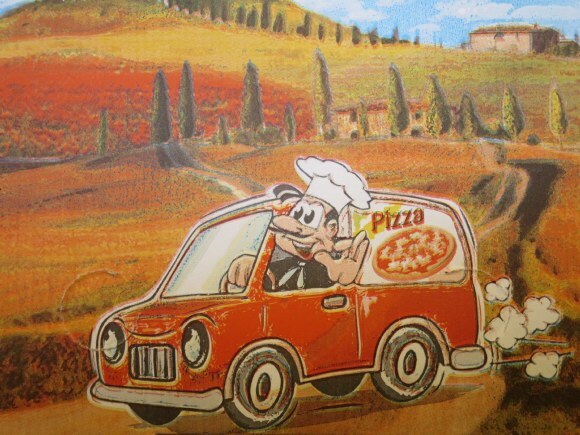 Pizza Box: There are a couple of standard pizza boxes that you see for carryout pizza and this is one….yes, Italians do carryout pizza.